In a recent post I said I would be putting up more details as they become available about this year’s Battle of Cable Street Commemoration. 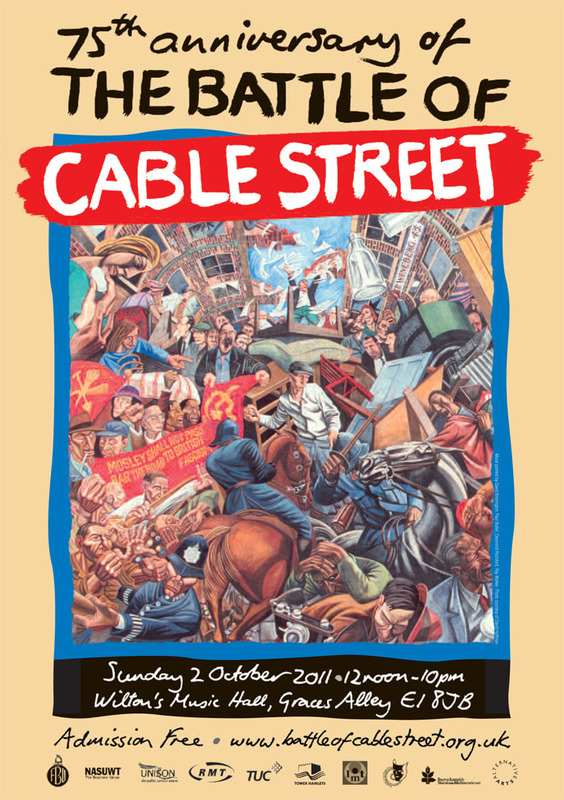 This excellent eight page listings’ pamphlet from the longstanding Cable Street Group is full of the various events that are taking place, including the march and rally. Even this isn’t exhaustive. Please click here to download the whole programme and get an idea of the scale of the commemoration this year which without a doubt will be the biggest ever. This entry was posted in Blog and tagged anti-fascist, Antisemitism, Battle of Cable Street, fascism, Mosley, racism, racist. Bookmark the permalink.